I've created a patchwork inspired card for the new challenge over on the Let's Craft and Create blog. Our theme is 'One for the girls'. 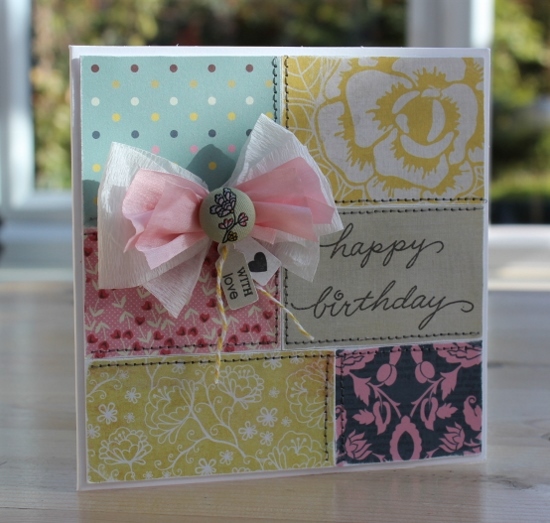 I think this card will qualify don't you, patchwork, pink and a bow, card making doesn't get much more girlie than that! Hope you have the time to enter. All the details are HERE, together with some wonderful projects from the DT and the prize for one lucky entry!